Lugg began his career with hometown club, Jarrow Vikings, before joining Middlesbrough in 1965. He worked his way from the junior side to the first team and helped 'Boro win promotion in 1968. However, when he was unable to hold down a place in the squad the following season, he was sold to Watford. He spent two and a half years at Vicarage Road, winning another promotion and helping the team reach the FA Cup semi-final in 1970. 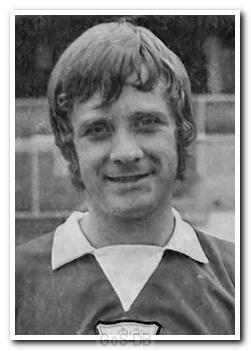 After moving to Home Park he was a fixture in the midfield during the first half of the 1972-73 campaign, but lost his place and left at the end of the season to join Crewe Alexandra. He spent five years with Crewe and notched up almost 200 appearances, also playing for a summer with Fort Lauderdale Strikers during this period. He finished his professional career with a season at Bury and also went on to play for Chorley.